Time seems to run faster in Audiophile years. Products come and go, market values swing vividly in either direction from season to season and headphone driver popularity is ever wavering. Such is now the case with portable music players, where things tend to stay exactly the same in pretty much every area outside of sound quality offered. True, that over time overall fidelity in the portable DAP world has slowly increased. But, can Hidizs really force their competition to submit to their iron fist? 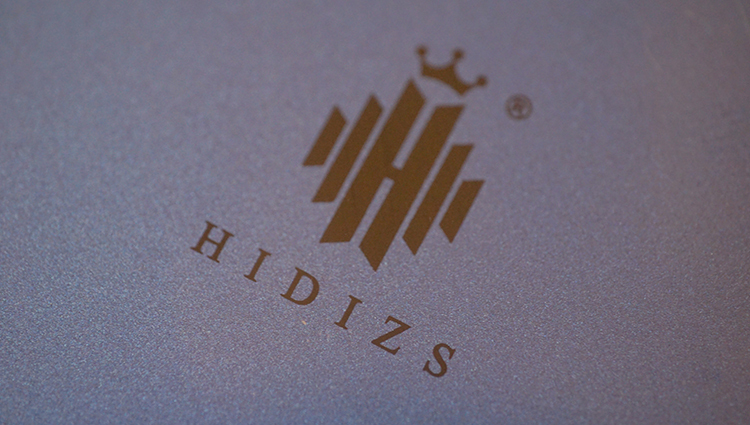 Hidizs is an Asian branded company that enforces patience in design implementation and overall execution of their product ideas. They aren’t exactly a new company, they’ve been around since 2009 and have produced a few solid market value products in the past. 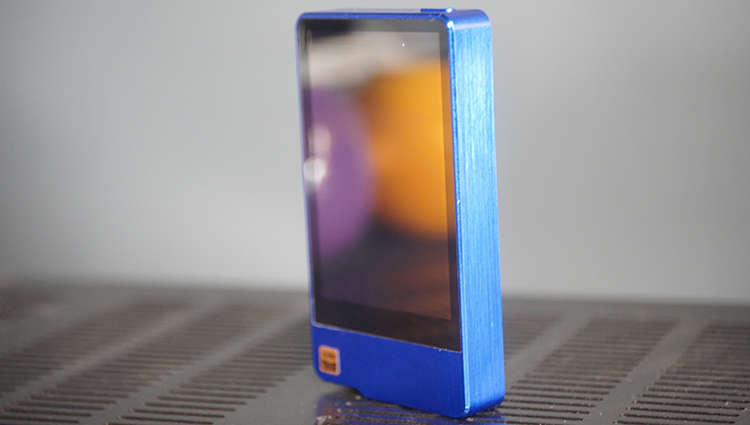 Currently, Hidizs has a Kickstarter Campaign active and ready for pre-purchase of their $299 MSRP AP200 music player, which you can acquire at $239 via the crowdfunding page. The unit is made of a hefty feeling chunk of stainless steel or aluminum alloy that seems very well built. For a DAP as small as this, it’s weight factor of 200grams or so is significant. Nowhere does this product feel cheap, quite the opposite. This model comes in a few different exterior colors (Black, Silver, and Blue) and also has three rear panel options (Wooden, Carbon Fiber and tempered glass). I was sent the blue version with tempered glass and I enjoy it a thoroughly. From an atheistic point of view, which is entirely subjective, the 2.28 x 0.62 x 4.17-inch frame feels fantastic in the hand. Sadly, the 3.54-inch (960×640, 325 PPI) touch screen is difficult to read for me outside, even on the highest brightness setting. This product is Android based, so you get the entire Android market via Wifi, as well as Bluetooth connectivity. Hidizs has sent me a preproduction model, so it is important to note that most of my gripes are all going to be addressed in future firmware updates. But for now, I do have to list them and talk about them in detail. The UI of the AP200 is painfully sluggish right now, bordering on one of the most unresponsive to touch commands that I’ve used in a long time. Track Skip and toggling through Album lists is slow on the draw. Turns out there is a shuffle function. But, for me, it is hyper sluggish and would not toggle properly when the very tiny icon was tapped. If I touched the screen, it would take more than a few seconds to register the tap and would revert back to the => icon. Beyond that, while Shuffle is active on my device, every track stops playing for a few moments at the 20 second mark. It also will pause the track automatically randomly after that. This is consistent and can’t be a coincidence. With shuffle active, every track does this. Disabled and set back to normal next track playing in the list, none of that will occur. My apologies, the AP200 does have a shuffle function, but it also seems a bit funky right now and does not work flawlessly. I see the Playlist function works just fine, but where is the Shuffle feature in the stock Hidizs Music App? I can’t find it…so let’s hope they code that in there asap. Beyond that, the UI is well setup and a nice custom version of a musical app, indeed. I have no gripes with the app itself in terms of physical appeal. They even have a solid EQ function in there, as well as a search box. These are all very nice to see in a sub $300 DAP with an Android base structure. The AP200 houses BT4.0 and Apt-x output. While that is great on paper, I am finding the connection to all Bluetooth headphones, that I was able to test with, were spotty at best. Again, this could be fixed in the firmware updates coming in the future. I am running off V1 and nothing has been addressed yet, that is coming later. So, I can forgive this easily and the company has let me know prior to receiving it that the UI is bare bones right now on my sample. I get cut outs randomly with headphones I know that never cut out. For example, my Noontec BT headphones, which are stellar, have their own BT base that connects to analog inputs. It never cuts out. Ever. But it cuts out when connected to the AP200, maybe a few times every 10 minutes or so. Short cut outs that last a second are not a major issue at all when the sound quality is as nice as it is on this AP200. We are looking at roughly 10 hours of battery life with Wifi and BT disabled. This competes with most of the excellent DAP’s on the market! However, once those functions are enabled, battery life dipped to a still respectable 6.5 hours. On Bluetooth and Wifi mode, that is a fantastic feat, so color me impressed. At 3100maH, I consider this a moderately powerful battery with a solid High Gain mode. Sadly, I could not un-toggle the Gain mode to test the battery on different gain settings, all of that again will come in the next firmware in the future. For now, I seem to be able to drive 150ohm headphones just fine and without any noise in the background. The AP200 uses dual ESS ES9118C Chips. I have literally zero experience with this chipset. I have nothing on hand that uses it, nor access to anything else. What I can say is that the tonality sounds very similar to the old Astell and Kern AK120 Gen1 from a few years ago, which is a fantastic thing and something I’ve wanted personally ever since my AK120 bit the dust after it was damaged by someone trying to mod it for me. 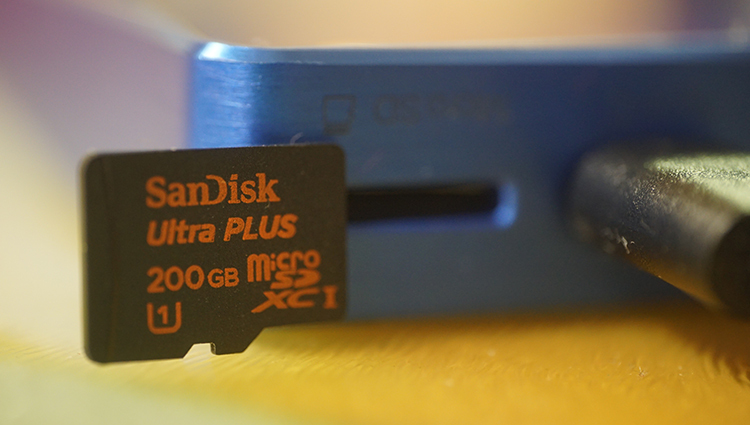 The AP200 can be used as a USB DAC…but again…locked until the next firmware. I am not able to test the PC>USB functions. No doubt, this AP200 has a relatively natural feel to pretty much the entire spectrum, with exception to the very top end. Bass, mids and even up to the lower parts of the treble area seem very smooth, forgiving and without much of an exaggeration at all on a flat EQ. The rest of the top end certainly has a sparkle to it so I would recommend this DAP to those who already own treble focused headphones, as well as those who want a little extra something up top. Thankfully, I detect no bloat or slow decay on the bass end, so that too seems well setup for most bass centered headphones as well. Tone, overall, is just a hair into the exaggerated zone, but not very much so. 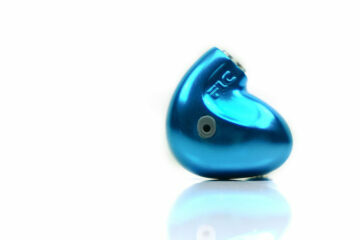 The bass and midrange feel quite natural, but the sparkled treble is apparent and musical to my ear. It feels great to hear this type of a setup, it is actually preferred subjectively by me. I really enjoy sparkle up top, but something more on the natural side these days with regard to vocal coloration. Thankfully, this player has a very nice little EQ setup on it that lets me toggle some extra low end. While on a 0+ flat EQ line, the quality is very nice. True, it isn’t on par with my Cowon Plenue M, but this is still good stuff and more than acceptable for the price tier of sub $300. I can’t see anyone complaining. Quality is good, as is quantity potential, which does justice to my new Noontec Bluetooth bass cannon. For $299, I’ve not a complaint in the world, as it both responds well to EQ and also sounds clean enough to satisfy. This is a good sounding DAP down south in the frequency range, so you should feel comfortable with bassy sets like the Sony XB700 types out there. I would actively avoid the ultra high-end customs though, as I don’t feel this AP200 to house a sufficient enough level of overall fidelity to handle the needs and requirements of TOTL customs and headphones in general. The AP200 offers moderately placed midrange, something not overly forward and not recessed. Middle ground and of a natural tonality. Tonal heft is also good and not at all lacking. By that, I mean weight carried in vocalists experiences, the spoken word and such. Those centralized areas of the frequency chart feel good, but not overly thick or thin. This is clearly this company’s motto at play, which had centered around actual, human tinkering with the sound traits to get them to a desired, specific area. When everything is good, the odds are fantastic that it was intended to be as such. When everything is good and makes sense, it is the red flag for the company intentionally setting it up that way, with 100% certainty. This is a great thing! We need more of this. Sparkled! This DAP plays very well with my treble focused headphones and makes my HD650 (HD6xx, actually) sound superb up top. That glitter effect, something gently exaggerated so as to make it interesting at all times, even on a flat EQ, is highly desirable to me on a subjective level. This might cause an issue for those looking for a perfectly flat experience, total neutrality is not the game here. Bass and mids feel natural, but this AP200s top end feels a few steps into the “musical” tier. Quality is, of course, good and of a high enough fidelity factor to justify the price tag, as it pretty much everything found inside of this product. Smoothness factor is actually sublime on this product. I really enjoy the lack of a harsh impact. It fails to kick hard and the result is always yummy, to say the very least. In my personal opinion, DAP’s in the middle tier tend to be a bit too harsh on physical slam and wince factor and it is a rare quality combination to get sparkle done well without feeling bitter or annoying. I think Hidizs has done very well here and I commend them for a job well done with regard to treble overall. Yet again, I feel more than satisfied with imaging on the AP200, similarly to most other qualities it offers. No, the AP200 is not going to do the HD800 justice by itself, if that is your bag, you might want one of the newer Cowon models. For now, the AP200 seems a solid performer in depth of field, which is certainly the star of the imaging showcase. Separation is good, the sense of air in play is also more than abundant enough to enjoy without feeling constrained. Height and width are a bit too close to the borders of “fine” and “good” to me. I could have used a bit more here, something more vast sounding to even things out in a sense of right and left stereo, as well as top and bottom of the void. Not that it is lacking, I just think the depth of field is noticeably better in this AP200 than it is width and height. If you have excellent sound staging headphones in the middle tier, you’ll do well enough by this. However, I do not recommend usage with the top of the line staging headphones or amps out there, you will bottleneck the experience with the AP200 being the weak link in that chain. Stick to respectable imaging products and try to avoid the very best of them when pairing with the AP200. Now, of course, that doesn’t mean you can’t still enjoy them. You certainly can. The AP200 supports 64/128 DSD and 384kHz/32bit file types. And yes, they sound very nice, indeed! Good .DSD on the go? What more can you ask for really? The AP200 performs very well here and there is a noticeable smoothness factor increase, as well as bass quality when Flac files are compared to DSD of the same album and track, with the latter of the two being audibly a bit superior. This is apparent on the high-res Daft Punk album, which exudes a buttery smooth feel over ever track, made more smooth by the AP200’s DSD capabilities. Hearing this album on the go with my Fostex TH-X00, or my Flare Audio Pro is simply divine. I wish all my favorite albums could get a proper DSD release after clean up. Sadly, DSD drains the battery a bit, but not too much. You also don’t seem to require an amp for anything 150ohm and lower, even with DSD files. Anything more than 150ohm, I would start thinking about a great portable amp to pair with this AP200…and my suggestion would be the XRK portable amps, both of which paired immensely well with the AP200. Hidizs is a budding DAP maker, I can’t see anyone questioning this. This new AP200 has excellent build quality overall, as well as a sleek, pocket-friendly design. I know right? Pocket-friendly and DAP being used in the same sentence in 2017? Who’d have thought that would be said. This company clearly gets what consumers in our field want and specifically hand tuned the AP200 to sound the way it does, and what it does, it does well in most regards. The AP200 is a $299 MSRP portable player that you can buy right now on Kickstarter for just $239.99. 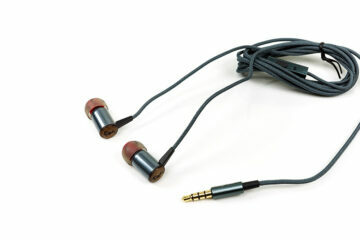 I recommend it based on sound quality alone, as well as the size and power output. It ate 150ohm headphones for breakfast. However, the company sent this to me knowing the UI was incomplete and features were locked and missing. So, I simply cannot comment on those features until firmware adds them in. For now, the UI is very sluggish and missing a Shuffle feature entirely. Beyond that, the physical layout of the UI is really neat. Hopefully, they can unlock the DAC functions and patch up the spotty Bluetooth functionality soon. If they can, the score would certainly increase. For what is currently available in terms of sound quality, this is a very nice DAP. I have an AK100ii. How does it stack up to that one tonally? Looking to “downgrade” to that because I badly need Spotify. Hi, has this player been compared with Cayin N3 sonically? “N3 is great but small with plastic screen that scratches too easy. Sound diff is minor and can be chalked up to whatever drivers you use…IMO. I have a Plenue D and the screen is fuuuu. I take super good care but it is fuuu. Hi, want to know how the sound quality compared to LG V20 or G6(quad-dac version)? 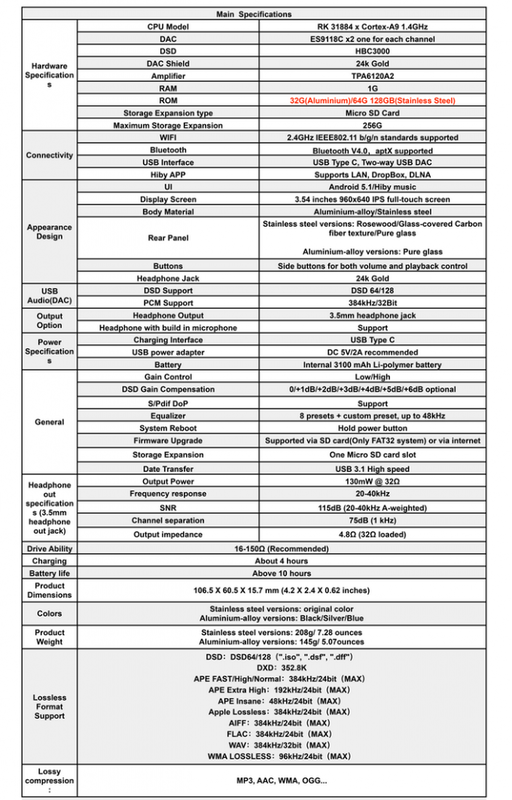 comparing the prices, V20 sits at 400$, I wouldn’t mind paying the xtra 100$ for phone functionality. I’ve never heard those before, apologies. You’ve upgraded very nicely, don’t worry. The A17 sounds noticeably grainier and more closed in, more artificial as well. The AP200 is certainly a superior device. Although, Bluetooth quality is identical, couldnt tell them apart on flat EQ. That isn’t a surprise though as neither have a good BT circuit. How does it compare to the Plenue D? Definitely superior sounding than the Plenue D all around. But, lacking warmth in the bass areas. 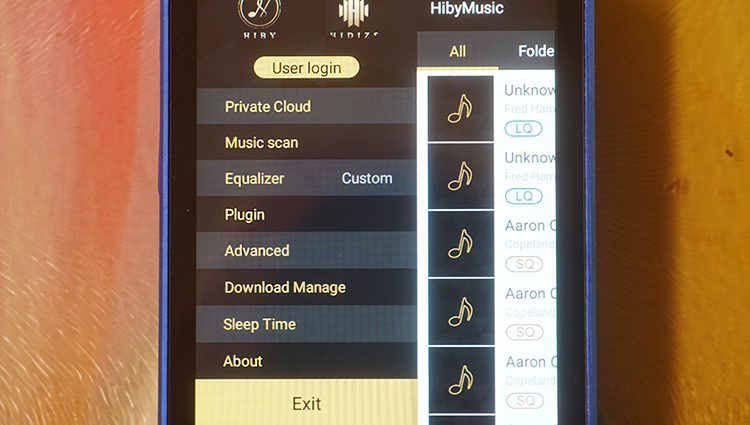 Sparkly treble on the AP200 is absent in the D. Android opens up a world of possibility for Music apps, so the faults of the stock Hidizs app at the moment that are all firmware based change when you have a better Android music app. Cowon can’t do that. can I have a simple overall impression comparing it against Onkyo CMX1? Thanks! I don’t believe the Onkyo will be significantly better. Audibly better? Perhaps in a few areas. 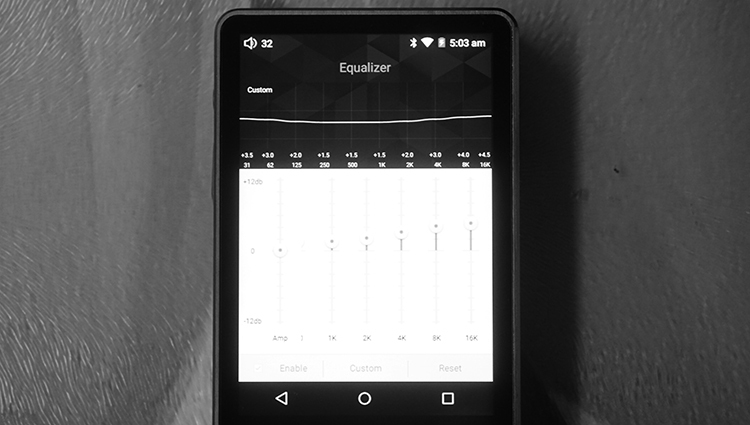 But if you are after an Android based player, the Fiio X7 might be the wiser route than the Onkyo Granbeat. I can generalize, since I know the components well of the Granbeat, which will be significantly faster in processing and smoothness of the UI. Also has a significantly better screen and fast charging. The sound quality though, I couldn’t say anything. I’ve been talking about this phone elsewhere, I really do want one. Awesome review! Tonality-wise, I’d say I’m intrigued. Can you provide a comparison between the tonality of the AP200 vs the Sony NW-A35? Just an FYI, I did edit update the Shuffle comments. It is there, but it is glitchy for me. Hi, can we assume the Hidizs AP200 as a direct competitor of the FiiO X5 iii gen in terms of audio quality only? Thank you! General ball park for sure. The AP200 vs Fiio X5 G3 is a very apparent contrast in tone though. The Fiio is undoubtedly smoother up top, but lacks that bite and sparkle that is so yummy in the AP200. Two different DAP’s with different sound signatures. The more fun version is the AP200, but literal sound quality compared, I’d say the AP200 has better treble and a more complete feeling stage, the X5 has better midrange. I am currently undecided between a Fiio X5 G3 and the Ap200, is the $200 difference representative of the sound quality difference of the two? Because currently, the Fiio x5 retails in australia for approx $540 wheras the AP 200 can be had for $320 (aud of course) so I am wondering if it’s worth paying the extra $220 because of the sound quality difference. This was exactly what i was confused of, till yesterday. Finally pulled the trigger on AP200, thinking that at least it will be light on my wallet. I was considering other players, but wanted Android as i occasionaly listen to spotify, Soundcloud and youtube. So with Android I can install apps and listen to those. I wouldn’t use third party apps if i can refrain from doing so, the battery runs out very quickly! I downloaded Pokemon Go on my AP200. A few other apps, they all work very nicely for quality offered. UI is still a bit too sluggish to run games and such though. oh and how does this compare to the AK Jr’s? i can currently get an AK JR for around $360 aud vs the ap200 for $320 aud, is the AK JR’s quality great enough to sacrifice the convenience of android and third party app support? Was not fond of the AK Jr’s Wolfson WM8740. The AP200 has dual (newer) DAC’s in it, so I’ll be supporting that over the AK Jr in this battle. It is also much easier for me to hold in my hand and toggle functions on the screen. Right now, the AP200 has a virtually nil firmware and fixes will be coming out. The company has been excellent about this recently and talking to me directly, so they care, they understand, they just wanted me to hear it and judge sound quality while they worked on the firmware before release. I think this AP200 is very on par with the X5s newest model in terms of sound quality. However again, I can’t know if the UI will run as nice after finalizing it for actual product release compared to the X5. But for sound quality? Yep, I think they are very different in tonality, but pretty equal in quality. So if i had $500 aud to spend, would the ap200 be a solid choice? Andrew that’s a really tough question because honestly, it’s down to you, your own listening preferences and what you like. There should be enough in this review to give you an idea, try comparing with our other DAP reviews and see if they give you similar information to make an informed buying decision. Thanks. I have given it some thought and the real answer i need is if the two of them can actually compare sound quality wise. In the future I may invest in a pair of $600+ headphones and I want the better performer of the two, does the fiio x5iii also bottleneck like the review claims the ap200 does? WOuld the Cayin i5 be a netter purchase? A different segment, non-touch based budget starter DAP vs Android connected mid-fi dap at double the price.